Baja Aragon The 34th Baja Aragon will take place in Teruel on July 20th-23rd. The event is the second round of the FIM Bajas Cross-Country World Cup. The 34th Baja Aragon will take place in Teruel on July 20th-23rd. The event is the second round of the FIM Bajas Cross-Country World Cup. While Teruel hosts the Baja Aragon for a fifth time, no fewer than 31 municipalities and four regions – Jiloca, Sierra de Albarracin, Cuencas Mineras and Teruel – are involved to provide competitors with the most beautiful and challenging route. The format will be different on Saturday and Sunday this year and there will be two specials on Saturday and one on Sunday. On the occasion of this second round of the FIM Bajas Cross-Country World Cup, the level of entries is excellent and Joan Barreda (Honda) will have his work cut out to see off his rivals. His include Ivan Cervantes (KTM), the five-time FIM Enduro World Champion, Michael Metge (Honda), while Sherco is also present with Joan Pedrero, Adrien Metge and the Indian rider Aravind Prabhakar. Three women are registered to challenge for honours: Rita Veira (Beta – also Junior category), Rosa Romero (KTM) and Sara Garcia (Yamaha). Carlos Fernandez (Husqvarna) will ride in the Junior category, while Joan Puig will take part on an electric Zero Watt Bike. Eleven quads will also tackle the event, including three riders in the Junior category. Baja Aragon is a tough and challenging event, particularly with the high ambient summer temperatures adding to the difficulty for the riders. The FIM (Federation Internationale de Motocyclisme) founded in 1904, is the governing body for motorcycle sport and the global advocate for motorcycling. The FIM is an independent association formed by 113 National Federations throughout the world. It is recognised as the sole competent authority in motorcycle sport by the International Olympic Committee (IOC). Among its 50 FIM World Championships the main events are MotoGP, Superbike, Endurance, Motocross, Supercross, Trial, Enduro, Cross-Country Rallies and Speedway. Furthermore, the FIM is also active and involved in the following areas: public affairs, road safety, touring and protection of the environment. The FIM was the first international sports federation to impose an Environmental Code in 1994. Single riders and Moto Clubs now have the chance to gain the title of FIM World Touring Champion. How do they do it? It is easy, just participate in the events proposed in our calendar! After the great success of the first gathering that took place in El Salvador, now we are entering the most intense phase. From the 7 to 9 July, the 72nd edition of the motorcycle touring gathering Madonnina dei Centauri Internazionale will take place in Alessandria, Italy. It is a long standing tradition among all Italian and European riders who are devoted to the Virgin Mary to meet every second Sunday of July. In Castellazzo Bormida, close to Alessandria, there is a Sanctuary named Santuario della Beata Vergine della Creta. In 1947 Pope Pius XII conferred the title "Patron of the Centaurs" on the "Madonnina" as it is called by all the locals, and since then the Madonnina dei Centauri has been the patron saint of motorcyclists. More than 9,000 participants are expected to turn out for what, over the years, has become an unmissable rendez-vous for motorcycle fans, riders and tourists. Both the cities of Alessandria and Castellazzo Bormida are fully involved on the organisation of this historic event, which brings visibility to the territory. Such an event is a clear example of a blend of tradition, motorcycle passion and tourist entrepreneurship. The countdown of the 7th edition of the Silk Way Rally was launched in Paris. During a presentation party organized near the Champs Elysees, many guests, competitors, members of the federations, media and partners of the Silk Way Rally got the possibility to meet and exchange, 126 days ahead of the start podium. The idea had been growing for a long time already and the decision has been taken: the motorcycle category will be integrated from the 2018 edition. This decision, expected by many manufacturers, teams and riders, will enable the Silk Way Rally to take another step. Absent since the 1st edition in 2009, bikes will be on the start podium in 2018. Selection criteria and registration procedure will be communicated to the competitors of the Motorcycle category in September 2017. You have till April 3rd to benefit from reduced entry fees, in race category. So, don’t wait any longer, go to the www.silkwayrally.com, in the competitors area and register online. Pay the corresponding deposit before April 3rd and pay the balance before June 1st. PEUGEOT SPORT have officially confirmed their presence on the Silk Way Rally 2017 by entering 3 cars driven by PETERHANSEL, LOEB and DESPRES. A 2017 edition that will also welcome NASSER AL ATTIYAH and his copilot MATHIEU BAUMEL, serious contenders for victory too. An exceptional edition where the many amateurs about to register will be able to fight against the best crews of the discipline. Entries are open. You may benefit from the reduced entry fees up to April 3rd. New this year: to facilitate the procedures, no more entry forms nor order forms to fill out, registrations are done online. You register directly on the rally’s website. Once your account has been created, you can manage your registration at your own pace (you must of course respect the deadlines). •Free entry fees for Team Managers entering a minimum of 3 racing vehicles. Regarding service category, the route, totally accessible in two-wheel-drive vehicles, enables all types of vehicles (cars, trailers, vans, trucks, semi-trailers, campers, motorhomes), without any additionnal fee for vehicles. 10th January 2017 Opening of entries – Start of reduced entry fees? 4th April 2017 Start of standard entry fees? 1st June 2017 Closure of entries? 5th and 6th July 2017 Administrative checks and scrutineering in Moscow? 8th to 22th 2017 14 legs and 1 rest day? The FIM EWC has an all-new round – the 8 Hours of Slovakia Ring, to be held on Saturday 24 June 2017 on the Slovakia Ring circuit a short distance from Bratislava. This new race slots into the 2016/2017 season. The next round of the FIM EWC, the 24 Heures Motos at Le Mans, is scheduled for 15 and 16 April. The new-format FIM EWC 2016/2017 season kicked off on 17 and 18 September 2016 with the Bol d’Or race on the Paul Ricard circuit in Castellet. Four other races will make up the calendar, including an all-new race on the Slovakia Ring circuit. The 8 Hours of Slovakia Ring promises to be a headline event. Located within a short distance of the capital, Bratislava, and the border with Austria, the Slovakia Ring is run by a dynamic and professional team. The races at this fantastic 6-km track regularly draw large crowds of spectators. The 8 Hours of Slovakia Ring is scheduled to take place on Saturday 24 June 2017, from 1.30pm to 9.30pm CET, i.e. a night finish. The 12 Horas de Portimão, initially scheduled for mid-March 2017, has been postponed to the 2017/2018 season. This will enable Portugal, and the team at the Autódromo Internacional do Algarve, to consolidate preparations to host a major Endurance race in 2018. There was also a risk that the delayed arrival of the new homologated bikes for 2017 would handicap the preparations of some teams. So the next round of the FIM EWC 2016/2017 will be the 24 Heures Motos at Le Mans on 15 and 16 April. The new date for the 8 Hours of Oschersleben in Germany is 20 May, one month ahead of the 8 Hours of Slovakia Ring on 24 June. On 30 July, the 40th edition of the Suzuka 8 Hours will round off the FIM EWC 2016/2017 in style. In order to ensure that this grand finale takes place in optimal conditions, it has been decided to make a complete control of the first 10 bikes after the finish of the race . Eurosport Events and FIM are already hard at work organizing a forthcoming wintertime event, scheduled for February 2018 in Asia. This race is being rolled out in collaboration with Suzuka, and will be a qualifier for Japanese teams and squads from elsewhere in Asia wishing to compete at the Suzuka 8 Hours. Eurosport Events will confirm this event on condition that it can offer logistics support to participating European and Asian teams. Tonight saw the seventh edition of the FIM Gala Ceremony take place, this time inside the famous Tempodrom, Berlin. Almost six hundred invited guests packed into the iconic venue in the historic city to enjoy a very special evening that rewarded the exploits of the World's best motorcycle riders. Streamed live on the FIM Gala website, a host of motorcycling legends were on hand to present the 2016 FIM World Champions with their respective awards, whilst also being honoured themselves for their achievements within two-wheel sport. Legends such as Per-Olof Serenius, Tomo Igata, Gilles Burgat, Heinz Kinigadner, Gualtiero Brissoni, Jacky Vimond and Luigi Taveri were joined on stage by the likes of Marc Marquez, Johann Zarco, Brad Binder, Ryan Dungey, Jonathan Rea, Matthew Phillips, Toni Bou, Tim Gajser, Greg Hancock, and many more talented riders. The Women’s side of the sport was once again strongly represented by Emma Bristow, Livia Lancelot and Kirsi Kainulainen. In addition to the many FIM World Champions who stepped forward to receive their awards, the FIM also made four special presentations. These included the FIM Fair Play Trophy presented to Laia Sanz; the FIM Environmental Award, which was won by the Circuit de Barcelona-Catalunya; the FIM Road Safety Award that was handed over to the Federazione Motociclistica Italiana (FMI); and finally the winner of FIM Woman in Motorcycling Award was announced as AMA Get Women Riding Campaign – USA. Road connection: 66.90 km – Special Stage 1 : 162.01 km - Road connection : 63,04 km – Special Stage 2 : 243.9 km - Road connection : 29,29 km - Total : 498,24 km. Today, Atacama Rally competitors took the start of the longest stage that joined Antofagasta and Bahia Inglesa, crossing the first portion of the Atacama Desert with a timed section of more than 460 km. The stage crown was passed on from Pablo Quintanilla to Australian rider Toby Price (KTM) who completed the stage in 3 hours 46 minutes and 53 seconds, followed by Honda riders Kevin Benavides (+3’03’’) and Paulo Gonçalves (3’35’’). Pablo Quintanilla, who was king of the land yesterday, gave up his position after receiving a six-minute penalty for not respecting a speed limited zone. After this, the Chilean rider was sent back to the 4th place, 5 minutes and 50 seconds from today’s winner, Toby Price. The overall classification is now led by Toby Price, while Gonçalves and Quintanilla hold second and third place. The only quad still in the race, Rafal Sonik, crossed the finish line quite comfortably, aiming to complete the Atacama Race and add the points to earn his title as the FIM Cross Country Rally World Champion in quads. The Copiapo area is known for the morning fog locally called “camanchaca,” which normally delays the start for safety reasons. To avoid delays, the stage’s start is planned at 11:30 and includes more than 200 km that will take competitors to the Medanoso dune, one of the largest dunes in the planet. The perfect dune and the driest desert in the world welcomes all the action from cross country racing when the engines start to begin the new edition of the Atacama Rally next August 20 – 27. The race will receive the official teams competing for the FIM Cross-Country Rally World Championship. Five stages and 1,200 competitive kilometers will shape the path between Antofagasta and Copiapo, the natural and perfect scenario for a real cross country rally competition in South America. The Atacama Rally is valid for the fifth round of the FIM Cross-Country Rallies World Championship, and as a third round of Codasur-FIA South American Cross Country Rally Championship. The Atacama Rally receive official teams of the FIM Cross-Country Rally World Championship. The challenge of winning the real cross country rally carried out in South America’s perfect dune, attires the best drivers of the moment. Led by the last Dakar champion, Australian Toby Price, the KTM team will arrive to Chile with his best lineup: Spanish rider Laia Sanz and Austrian Matthias Walkner, current FIM Cross-Country Rally World Champion. Official HRC Rally team will have a strong presence with Portuguese Paulo Gonçalves, second in 2015 Dakar. He will be accompanied by American Ricky Brabec and Argentine Kevin Benavides. In front of them, the Husqvarna team: Chilean rider Pablo Quintanilla and French Pierre Alexandre "Pela" Renet. Husqvarna motorcycles also will shine on HT Rally Team’s powerful structure led by the Russian Anastasiya Nifontova, FIM Cross-Country Rally World Champion. She will be accompanied by Max Hunt and Aleksandr Ivaniutin. From Bolivia, Daniel and Walter Nosiglia have confirmed their participation. In quads, the referents will be Chilean Ignacio Casale and Polish rider Rafal Sonik, along with Argentinean Gaston Gonzalez. The South Racing team, led by Chilean Daniel Mas, has confirmed its participation entering three trucks. The other two will be led by an international star and another Chilean, Hernán Garcés. The Atacama Rally 2016 will host the title definition of the FIM Cross-Country Rally World Championship and will have three Chilean riders with an option to get the crown. Ignacio Casale, 2014 Dakar champion and Qatar’s winner, has hold a closed dispute for world title in quads category with his "archenemy" in recent seasons, the Polish rider Rafal Sonik. The winner in United Arab Emirates announced "the excitement of return to compete in the tough Chilean desert, home of Ignacio Casale, a great rival". The Chilean Pablo Quintanilla (Husqvarna) is six points behind leader in bikes, British Sam Sunderland (KTM). With just one more round on the calendar, the Rally of Morocco in October, the Atacama Rally is the ideal opportunity for Quintanilla to ensure a privileged position in the World Cup. Another Chilean who is about to be crowned world champion in the junior category is Jose Cornejo. He leads the standings with 75 points compared to the 31 of Adrien Van Beveren. A victory at the Atacama Rally would set an unprecedented win for Cornejo. The best Chilean riders and drivers will lead the Atacama Rally. In the bike category, Enrique Guzman, Felipe Prohens, Daniel Gouet and Jordano Sepulveda will fight for the best place. In cars, twenty Chilean crews that take part in the National Cross Country Rally Championship will take the fight, among them are multiple champion Fernando Leon, Maximiliano Rios, Luis Ignacio and Gerardo Rosselot and Luis Eguiguren. Prize-giving ceremony and closing party at Hotel Antay, Copiapo. More information available at www.atacamarally.com or ask via email to secretaria@atacamarally.com. The Atacama Rally is a unique challenge in South America and the only FIM Cross Country World Championship round carried out in this continent. Together with the CODASUR-FIA Cross Country Rally Championship, it is also an excellent opportunity to train at the highest level. Atacama Rally is the true cross-country rally in South America. Dare to live it! On the occasion of the recent ASIMOTOSHOW in Parma, Italy, an important meeting took place between the FIM (Fédération Internationale de Motocyclisme) and FIVA (Fédération Internationale Véhicules Anciens). The FIM was primarily represented by Damiano Zamana (Director of the FIM Touring and Leisure Commission, CTL) the FIVA by Palmino Poli (Director of the FIVA Motorcycle Commission, MCC). From the outset, both parties indicated that there was a clear and shared desire to find common ground and a good working relationship, as both federations share the same goals and objectives concerning vintage motorcycles, namely the promotion and development of motorbikes and motorcycling related activities and the protection of riders’ rights, whilst recognising that both federations have different core responsibilities within the motorcycle community. The overriding shared aim was summarised in a joint commitment to ensure that “historic motorcycles” are handed down to future generations and that the motorcycle culture flourishes worldwide. FIM will refer affiliate member requests that relate to historic motorcycles to FIVA MCC for further assistance. FIM and FIVA will engage in joint communication to promote each other’s activities to their respective members. FIM and FIVA will exchange their directors or their delegates at least one event per year; for FIVA this event will be the FIVA Motorcycle Rally and for the FIM it will be the FIM Rally. At related events, delegates will exchange cups on behalf of their federations. FIM and FIVA agree to open discussions on a common long-term project for a FIVA-FIM event. FIM and FIVA agree to acknowledge the agreement of 2004; both federations agree to establish an annual round table for the purpose of better collaboration. The FIM (Federation Internationale de Motocyclisme) founded in 1904, is the governing body for motorcycle sport and the global advocate for motorcycling. The FIM is an independent association formed by 112 National Federations throughout the world. It is recognised as the sole competent authority in motorcycle sport by the International Olympic Committee (IOC). 10,000+ reasons to be excited! Silk Way Rally organisers announce the route and host cities for the 2016 edition. Rally-raid crews have in excess of 10,000 reasons to be excited. Following the ceremonial departure in Moscow’s Red Square on 08 July, the Silk Way will set off for more than 10,000 kilometres of competition, adventure and pure pleasure. Other details of the route will be announced by the organizers at a press conference, to be held on June 9 in Moscow. A large and exuberant crowd will fill the Kazan city centre for a prologue to determine the start order for the first proper stage (Kazan-Ufa) on 10 July. Then the rally will exit ‘Mother Russia’ and enter Kazakhstan on 11 July. The ‘land of wanderers’ will host three stages, with a stop in the futuristic metropole and capital Astana and a much-deserved rest day in the former first city, Almaty. On 16 July the raiders will see the vast plateaus, steep canyons and rolling tracks disappear from their rear-view mirrors with the ‘Red Dragon’ straight ahead. Bortala will host the first bivouac in China. Then, the massive Gobi takes centre stage. With Mongolia to the north and the Qilian Shan to the south, the rally heads east for a week-long battle, reaching the capital of Inner Mongolia, Hohhot, before the final stage and finish line in Beijing on 24 July. After painstaking attention to detail and weeks of reconnaissance, the route is set. No matter their ambitions or means, all who accept the challenge are in for the rally of a life time! Vladimir CHAGIN Silk Way Rally Project Director: “With the help of the local authorities, we were able validate our route. It is going to be an intense battle in rarely travelled regions consisting of deserts, mountain landscapes, and immense steppes, which will be complemented by the discovery of forgotten cities and incredible scenery. From Moscow to Beijing, the 2016Silk Way Rally will be a huge challenge and it all gets underway in Red Square on 8 July!" Zhan Guojun, Chinese Motor Racing Federation President: «The Silk Way Rally is not only a competition; it is a bridge of friendship between the Russian and Chinese Motor Racing Federations that will make every effort to ensure a successful event this summer. We will warmly welcome our friends and competitors from around the world to Beijing!" *subject to modification by Silk Way Rally organisers. In order to offer its customers’ the possibility of continuity and establish a logical rally raid growing learning experience, XTREMEPLUS in association with Group HOLLEX creates SAS 2WD (2 wheel drive). Aiming to offer its customers a high-class vehicle, this new structure gets closer to SMG, acquiring their project of development and construction of the famous SMG Buggy “new generation” (37-inch tires, Bos Engineering suspension, LS3 engine, Sadev gearbox). With this new structure, 2WD has wants to offer its customer the possibility to race in the equivalents of Formula 1 cars specially prepared for the desert. After five years, Xtremeplus has prepared a team and vehicles to accompany rally-ride starters not only by building and developing the Polaris RZR, which quality standard has not only been demonstrated, but also has offered an optimal logistic and assistance service at a reasonable price. After a year of competition at the team’s heart, we were able to see that our RZR 1000XT+30 drivers are looking to progress in the discipline on a more performing vehicle. Unfortunately, the current market of rally raid has a very reduce offer that meet the quality standards delivered by Xtremeplus. For this reason, it has been mandatory for us to find a solution to continue supporting our customers. Naturally, 2WD has come to the SMG buggy, not because of its stage wins in Dakar 2013 and 2014 – with the greatest Carlos Sainz – but because this vehicle has shown to be 100 percent reliable for the past years and it also allows a fast adaptation to it. Being our customers true rally raid gentlemen, this buggy will perfectly correspond to their expectations. A test session was already completed in Morocco with great results and with the constructive collaboration of SMG. Today, 2WD prepares its participation in the Silk Way Rally, which will take place next July in Russia and China. We have chosen this race to polish our logistics service during a long a difficult race for its premier. The 2WD will be driven by a gentlemen driver along with an experienced navigator. 2WD will offer assistance with a 6x6 truck, four mechanics and one T4 truck (race track assistance) that will follow the same road of the cars with mechanics and spare parts. The fast assistance service vehicles will stay close to the buggy through road connections. While this team is racing, there will be another 2WD crew at the workshop building the second buggy, which will be build 100 percent in our facilities located in Boz, steps away from ancient Mitsubishi Motors. 2WD will then be ready with two buggies ready to race the next Rally of Morocco in October, and the Dakar 2017 in January. Soon you will be able to follow Xtremeplus’ new adventure and obtain all necessary information for your future projects through the website and Facebook page that are now under construction. Meanwhile, for any further information, you can contact Marco Piana at xtremeplus@orange.fr. The Isle of Man Government today announced a partnership with 360fly, Inc., maker of the category-leading, single-lens camera that captures stitchless 360-degree video, that will bring immersive 360-degree video and mobile virtual reality content from the 2016 Isle of Man TT Races fuelled by Monster Energy to race fans around the world. As the official 360-degree camera of Isle of Man TT, 360fly will utilize its latest 4K camera technology to live stream 360 content via the Livit platform and distribute playback content through Isle of Man TT’s social media channels. Fans unable to physically attend the exhilarating event will be able to experience the race like never before – in immersive 4K video and mobile virtual reality. Content from the race paddock, rider pressroom, VIP hospitality and grandstand activation area, as well as on-bike footage from competing riders will be available on YouTube (Isle of Man TT and 360fly) and Facebook (Isle of Man TT and 360fly). Additionally, 360fly will be live streaming from the race paddock and rider pressroom. Fans can download the free Livit Now mobile app on iOS or Android and follow @360fly. Virtual reality and immersive video have never been more top of mind, thanks to number of recent announcements by major media companies such as Facebook and YouTube, VR purveyors such as Oculus Rift, and consumer-friendly 360-degree mobile VR cameras such as 360fly. The overall category can be broken down into two distinct areas: professional-grade, 3D VR and consumer-level 360-degree 2D video (aka “mobile virtual reality”). Specializing in consumer-level 360-degree video, 360fly brings immersive video and mobile VR to the masses with its affordable camera offerings and its intuitive mobile app. 360fly allows users to easily shoot, edit and share 360 video to popular social platforms like Facebook, YouTube and more. The new 360fly 4K camera will be available in stores and online at the end of May 2016 for $499. The 360fly HD camera is currently available at Best Buy stores in the USA for $399. * Note: this wasshot on the 360fly HD camera. Content during the Isle of Man TT 2016 will bedone on the 360fly’s new 4K camera. 360fly creates unique, 360-degree digitalproducts that inspire users to capture, share and experience life’s greatestmoments in 360 degrees. Our passion has led us to redefine video capture,because we believe life is too rich to capture just part of it. A To learn more about 360fly, visit www.360fly.com or follow 360fly on Twitter and Instagram @360fly, “like” it on Facebook at facebook.com/360fly, and subscribe to its YouTubechannel. 360fly and the fly logo are trademarks of360fly, Inc. Other company and product names may be trademarks of theirrespective owners. Thank you for reading this TT Press Release. Please email us and let us know if you have any comments or queries. We respect your privacy and promise never to abuse this. If you would prefer not to receive any future emails from iomtt please Unsubscribe here. We never sell or give any information we have about you to another party. The early-bird prices will last until Tuesday, May 17. Take advantage of special prices and discounts now! The fifth round of the FIM Cross Country Rally World Championship and third round of the CODASUR-FIA Cross Country Rally of South America that will take place from August 20 to the 27 will extend early-bird registration prices. Competitors and teams can access to special registration prices and include a free registration of one assistance person in bikes and quads, and two people for cars and UTV. This year, the Atacama Rally will start in Antofagasta, where the technical and administrative scrutineering, prologue and stage 1 will take place. Stage 2 will join Antofagasta and Bahia Inglesa, location of the bivouac for all next stages. “We’ve put together a world-class route, mixing different kind of terrains in the Atacama Desert. Competitors will find a fascinating and mostly challenging race. We’ll go deep into the desert with its incredible landscapes and tracks and will amaze those looking for excitement, competition and to experience a true rally-raid experience,” said Gerardo Fontaine, Atacama Rally Director. RECCIES OF THE SILK WAY RALLY: FINISH IN BEIJING! Reconnaissances for edition six of the Silk Way Rally has just ended after more than 25 days from West to East, where the team , consisting in twenty people joined Beijing. Left from the Kazakh border, the 12 vehicles have explored China through the mountains of Tien Shan in the north of the Taklamakan desert, then the Tarim Basin to the Gobi desert, to finalize the road book. For more than a decade, SODICARS RACING, based near the French wine capital of Bordeaux, has been a fixture in Rally-Raid competition. Gentleman Drivers and professionals alike have been looked after by the Richard Gonzalez led operation. The 2016 Silk Way Rally is part of this year’s programme, and Richard Gonzalez takes a few minutes out of his busy schedule to talk to us. Richard, where does your Rally-Raid passion come from? When I was a child, I could sit in front of the television for hours watching the Dakar, then in 2004 when on a trip to Oman, I got hooked on these wide-open spaces, the desert and this unique sensation of freedom! Now, I hope that there are other children who have the same dream as they follow our team through the competition we are involved in, but I must admit that the sport has changed, it isn’t as much of an adventure as it once was. The Silk Way corresponds to what I am looking for. We are looking for new horizons. How many of your vehicles will participate in the Silk Way Rally? SODICARS RACING will have a strong presence! Probably 5 cars and 2 trucks in the rally plus 3 6x6 trucks to transport all the necessary equipment to do the event correctly…I will drive a MAN 4x4 in the T4 category and my job will be to be close to the cars in order to help them if they have a problem. We will go all out; we want to do the Silk Way in ideal conditions. ? What do your clients expect from SODICARS? We offer our customers a show up and race package, I think this is what are clients are interested in, we take care of everything, from logistics to the cars, insurance, etc… All our drivers have to do is get in the car, drive and enjoy themselves. Our customers are mostly business owners or executives who work hard and from time to time they come to have fun and to try to put in a good result. Is this the SODICARS philosophy? Absolutely, we are a family run business, where the atmosphere and the daily bivouac routine are important things and all of this is done for a reasonable price. Our cars are easy to drive and I think that this package is very attractive. How are you approaching the Silk Way Rally? We are very excited! We are also very curious! We are like big kids and for us Russia, Kazakhstan and China remain unknown regions for our drivers and that is exactly what we want to offer them. You have competed on the Silk Way Rally before, what did you take away from that participation? The Silk Way is a really well organised rally, with rigor and seriousness as well as a lot of kindness. The atmosphere in the bivouac is really nice. A two-week race is an interesting format and also nicely positioned on the calendar. In my opinion, this race is already a major event, and could perhaps even be the reference of the future. On 9th July 2016, the sixth edition of the Silk Way Rally will start from the Red Square in Moscow. After fifteen racing days and roughly 9.000 kms across three countries, the Chinese capital, Beijing will welcome the competitors as heroes, on 24th July 2016. •3 countries crossed: the Federation of Russia, Kazakhstan and the People's Republic of China. •The route: 15 legs plus one rest day, to run a total of roughly 9.000 km, among which around 5000 km of special stages (before reccies). •A start ceremony from the Red Square in Moscow, on 8th July 2016, at night. •The finish podium and the prize giving in Beijing, on 24th July. The Silk Way 2016 presentation took place last 15th October in Paris. Competitors, Team representatives and media were numerous... Organisers wish to sincerely thank all the people who came, often from far and who have clearly expressed their will to be part of this new adventure. The 2016 route, going alongside the silk road has raised many reactions among the participants. "The return of the Silk Way really is a specific emotion, as it is the race where I have my best memories! The Silk Way partly takes place in my country, this is a race well prepared and well organised. This enables the whole world to see images of my country, to admire our landscapes, this makes me quite proud and I feel very patriot! Linking two capitals like Moscow and Beijing is very ambitious, for us competitors, it is an exceptional route! And for the G-Force Team, it is an opportunity to fight with the best ones and to aim for a new victory!" One of the most awarded French sportsmen joins the Silk Way Rally! Crystal Globe winner, Luc Alphand's career peaked in 1997. Elected Champion of Champions that same year by the readers of the newspaper L'Equipe, Luc put an end to his skiing career to devote himself to his new passion: motorsports. In 2006, with the official Mitsubishi team, he won the Dakar. "This is a new challenge for me, I take that very seriously, I’m going to be completely involved into it. The potential of the Silk Way is huge, I will share my experience of professional sportsman with organisers and competitors and try to give some tips and advice." There will be two entry-fees. Register as early as possible and you will benefit from a reduced price! The Silk Way is offering the most interesting entry-fees of the season ! A unique ratio quality/organisation/kilometers! You need more information, you have questions… do not hesitate to contact us, we will do our very best to help you. Motorcycling Australia (MA) is pleased to announce that the FIM Oceania Championships will once again take place in 2015 across a number of the different motorcycling disciplines. Motocross, Trials, Road Racing and Speedway will all feature FIM Oceania Championship competition, most of which will be held concurrently at Australian Championship events. The Speedway event will feature individuals riding for both Australia and New Zealand, while all other events will feature riders being selected for national teams specifically for FIM Oceania competition. The FIM Oceania is one of the six Continental Union’s (CONU’s) of the Federation Internationale de Motocyclisme (FIM). Australia and New Zealand are the two countries that make up membership of the FIM Oceania , with the FIM Oceania Management Council made up of delegates from both MA and Motorcycling New Zealand (MNZ). President of the FIM Oceania Jim Tuckerman said that the addition of FIM Oceania competitions to established national events would only add to the quality of the racing. “I personally believe that FIM Oceania can assist both MA and MNZ riders for competition, and it’s extremely gratifying that we’ve been able to get the three championships up for 2015 and for the Speedway in 2016,” Tuckerman said. “The beauty of running them with events such as the MX Nationals and ASBK is that there are top New Zealanders already competing within Australian championships. MA CEO Dale Gilson commended the return of the FIM Oceania Championships and the potential benefits the arrangement would bring to national championship events. “The addition of the FIM Oceania Championships will certainly add to the spectacle of our national championships in Australia,” Gilson said. “Both nations have a proud motorcycling history, and it is exciting that we are able to re-ignite the healthy Trans-Tasman rivalry we have had with New Zealand over the years." For more information on the FIM Oceania Championships and team announcements, stay tuned to the Motorcycling Australia website. Honda America gave this factory RSW750 flat-tracker to Marc Marquez in Indianapolis 2014. I want it! Resurrecting the name of Belgium's first home-grown motorcycle company, Saroléa racing is gearing up for this year's TT Zero electric motorcycle race at the Isle of Man. And the bike is an absolute beauty: 180 horsepower, 200 kilograms, 400 Nm of torque (!). The Saroléa racing bike features carbon fiber just about everywhere, including the frame, subframe, swingarm and even cable guides – and it sports an old-school Norton factory racer kind of look with its vintage bikini fairing, tank and seat designs. This week I've been riding about on an electric motorcycle that weighs about 180 kg and has 70 horsepower and 144Nm of torque (review video coming soon ). That bike felt seriously fast – it took off like an rocket at the lights and really stretched your arms out in a way I didn't expect. The experience made one thing clear to me – the pace of development in electric motorcycles is absolutely frenzied. They're catching up to petrol bikes at light speed, and in some ways they're already better. I have no hesitation in saying I now believe within 10 years, electric bikes will be so much better than petrol bikes that there simply won't be any argument. The Saroléa bike's weight and horsepower specs put it up there with street superbikes from just 5 or 6 years ago, but with a whopping 400 Nm of torque, this thing will absolutely fly. With a single-speed transmission, riding couldn't be simpler – there's no clutch, and monstrous loads of power will be available whenever and wherever the throttle is rolled on. Subaru of America, Inc. announced today that Subaru will return to the fabled Isle of Man TT Races and attempt to beat its own fastest car lap time. The current record of 115.36mph for the iconic 37 3/4 mile TT Mountain Course was set three years ago by Mark Higgins in a (2011) Subaru WRX STI. Higgins will return to drive the new 2015 Subaru WRX STI. The car Higgins will drive is a stock U.S.-spec 2015 WRX STI, with the exception of a roll-cage, race harness, fire suppression system and modified springs and dampers to handle the sustained high speeds of the course. 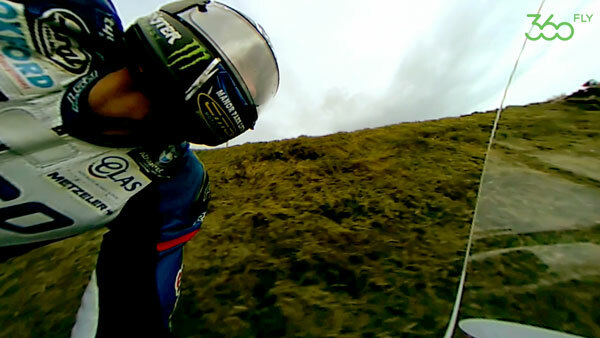 In his previous attempt on the course, Higgins created one of the most memorable race videos when he had a self-described "moment” at the bottom of Bray Hill at 150 MPH. The video has received almost 10 million views via various media outlets. After setting the record Higgins stated, “Setting the record was totally exhilarating and one of the highlights of my career. As a Manxman I love the TT Races and I have a huge amount of respect for the TT riders and what they do. It will be a real honour to attempt a new fastest car lap." Subaru will complete 3 timed runs on Saturday 31st May, Monday 2nd June and Wednesday 4th June. The event has been the subject of comprehensive consultation with all relevant parties and will take place under full, closed road conditions. "We are delighted to be able to help one of the TT’s valued, long term partners in delivering their promotional campaign for the new vehicle. Subaru of America has made a major commitment to the event, both financially and as a provider of course cars, which helps us to reduce the fiscal contribution required by the public purse." Subaru of America, Inc. is a wholly owned subsidiary of Fuji Heavy Industries Ltd. of Japan. Headquartered in Cherry Hill, N.J., the company markets and distributes Subaru vehicles, parts and accessories through a network of more than 600 dealers across the United States. All Subaru products are manufactured in zero-landfill production plants and Subaru of Indiana Automotive Inc. is the only U.S. automobile production plant to be designated a backyard wildlife habitat by the National Wildlife Federation. For additional information visit www.subaru.com. Maser (Treviso), 18 November, 2013 - Sidi Sport, along with the entire world of motor sports, is mourning the death of American rider Kurt Caselli. 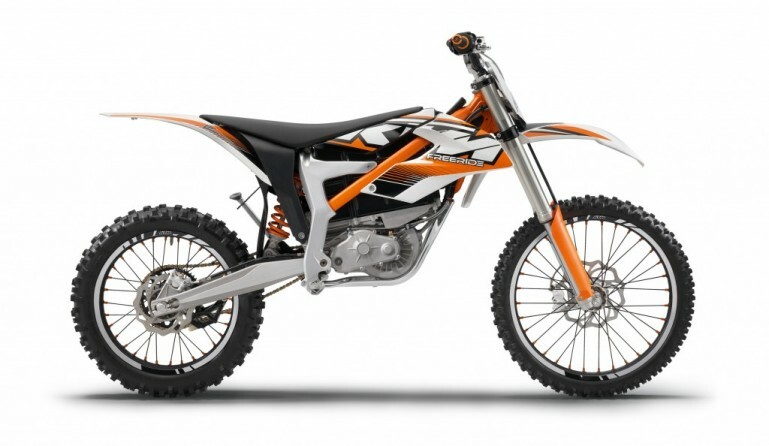 The KTM rider was the victim of an accident on Friday while riding in the Baja 1000 taking place in Mexico. Caselli was riding on a sandy stretch of track at high speeds when he lost control of his motorcycle, probably due to the poor visibility caused by the sand kicked up by other riders in the race. He crashed into a tree and soon afterwards was declared dead from injuries sustained in the impact. Kurt Caselli was born in 1983 in Palmdale. He was a rider with great experience; in 2013 he won two stages in the Dakar and he was currently preparing for the 2014 edition. In June he won the Desafio Ruta 40 rally in Argentina and he had recently participated in the Six Days’ Enduro event that took place in Sardinia in the beginning of October, where his team came in second. The entire Sidi Sport company is deeply saddened by this news. Kurt was truly an expert rider; he had been part of the Sidi stables for many years and worked directly with Bill Berroth from Motonation. In such a sad and difficult moment, Sidi Sport and Motonation feel at a loss and can only fondly remember Kurt as an esteemed friend, as we offer our sincerest condolences and share in the sorrow felt by his family and team. series rankings, closed out in third place. IF you wish to follow or join my ride txt 02102206227 OR follow on. A motocross legend is dead ! Georges Jobe, five times world champion and one of the most enigmatic characters the sport has ever known, passed away yesterday in a Belgian clinic after losing a long and typically defiant battle against his final rival, leukemia. Georges was just 51 years old. Few personalities in the sport have aroused such strong emotions as the younger son of a Liege haulage contractor, Georges having been at the forefront of the sport for three decades, first as the sport's youngest world champion, then for his defiant battles against overwhelming odds on the track before he turned to management, steering KTM into the big league and plucking riders like David Philippaerts and Jonathan Barragan from obscurity to turn them into world stars. Live everything stepping forward with some background, it has not come easy! With our winter upon us, the Vic Club Winter series takes over. Preparations are well underway for online streaming again, but upgraded. Live Timing started as a trial 2 years ago, as an idea and desire of Tim Gibbes, of Tim Gibbes Track Timing, (now in his 12th year of this transponder timing & results service), when Live Timing was provided for the first time at the National NZSBK Championship at Hampton Downs in 2010. That was very limited, bare bones, Live Timing, but was a start. Since then Grant Collingwood from Ctas has continued to build in stability and resilience with redesigned software and added features such as: Live Chat, Video, Sound, Race Schedule, Scroll back and the availability of the race videos online after each race day. The latest developments include amplified aerial mounts, balanced sound and commentator audio embedded in the Video Feed. The environment at each event is often very different, so the system must have the ability to be fully self contained. Grant says, sometimes we have no power and very weak internet, so we tune the system to cope, by adjusting bit rates and data flow. This along with wind and rain, makes for some very challenging times. To build a complete computer network in the middle of nowhere, and stream an event live around the world, is an achievement that we are proud of, but, he adds, we are just doing our bit. The Competitors, Organisers, Sponsors and Volunteers are the real event. This Live Timing Product has been built by Grant Collingwood of Ctas NZ Ltd. He can often be seen behind the camera or sitting at computers operating the system. At that first trial he counted 120 Viewers. The users have continued to grow, along with the introduction of this service to Motocross and Jetsprints, to the point it is today. At part way through this years road, motocross and jetsprint championships, and in just the last 10 weeks, the Live Timing system has had 20,000 Viewers and just on 3 million page views. A Live Event can range from simply Live Timing alone, right through to the complete package with Timing, Video, Sound and Chat. A Live Event with Video will generally take about 4 hours to set up and test, and includes 4 to 5 computers, 3 internet connections along with various networking and cabling to connect everything together and make it work. All systems are monitored, and Ctas provide support by TXT to ensure prompt action if anything goes wrong. Average rain days in New Zealand are 10 per month, so with a 33% chance of rain on any one event, everything needs to be water proof as well, including covering cables, computers, plugs, camera and camera man. Unlike televised coverage, when it is done, which only includes highlights from a couple of races, Ctas provide streaming all day, covering all races, and with the Live Timing, provide effective coverage of the whole field. Grant gets feedback like, fantastic, and the next best thing to being there, if you cannot be there. Some people worry about this type of service reducing gate takings, however, Grant feels that this is doing more for the sport to raise the profile, and get more people interested. The result of the increased interest and following, is that people are more likely to go to the event when it comes to their town. Live Timing, Video and Audio Streaming is a product of Ctas NZ Ltd, a Hamilton based company. For further information on this service, go to www.LiveTiming.co.nz or www.Ctas.co.nz . Contact Grant Collingwood. And Tim Gibbes adds what a great pleasure it has been to work with Grant & uplift the profile of motorcyclesport in doing so. Support the continuation of Speedway at Western Springs Stadium. Ask that Council raises the unrealistic low boundary noise level from85 dBA to a level that speedway can reasonably operate. Ask the Council to change the District Plan to reflect a reasonable compliance standard for boundary measurements referred to in the District Plan C05 ?08 section B. Ask that the Council allow up to 20 meetings per season. Ask that the Council allow mid week meetings including two meetings per week during an International Series. Ask that the Council allow the last event to start before 10:30 and be allowed to run until its completion. To sign the petition, please enter your name and details below. IMPORTANT: If you have already signed the previous petition sent to Auckland City Council then you are free to sign this one. The promoters have had extreme difficulty with council over lots of issues. They raised the issue that the City of Auckland received the largest petition in its history to maintain speedway at the Springs. The comment from Council was that it is a number of years now since that petition was submitted and people change address so the petition will not hold influence with council now. The question from Promotors was why does not the council apply the same reasoning to the protestors then???? In any event there are a lot of different councilors now and this is a fresh petition. Why do the council not just get behind speedway and help increase the wonderful asset and Heritage speedway provides for Auckland city. They did not even acknowledge or do anything to celebrate 80 years of speedway at Western Springs. After all it was Speedway that built the stadium. Without speedway it would not even exist. NEW ZEALAND GETS FIM World Motorcycle Speedway GP! WESTERN Springs Speedway promotion principal Bill Buckley has pulled off a major coup with the announcement of the first Speedway World Championship race to be held in the Southern Hemisphere. The March 31, 2012 event will be the opening round of the FIM World Speedway Championship Grand Prix series in which 15 International stars plus a New Zealand wild card will face the starting tapes for 20 heat races followed by two semi-finals and a grand final. But before that can happen, the present clay surface that has been designed for 700 hp Sprintcars has to be dug up and replaced with a surface compatible for 500cc methanol-burning speedway bikes, and the concrete fence around the 413 metre track has to be covered with a wooden safety fence. At the official media announcement of the event, held at Western Springs Speedway on Tuesday, November 29, FIM Speedway Director of Sports and former three-times World Speedway Champion Ole Olsen said he was working with local materials supplier Stevensons Group Ltd. to come up with the correct formulation for the new racing surface. Replacing the Western Springs racing surface is a major undertaking that will involve two weeks work for 20 people, 2000 tonnes of clay being trucked away and 2000 tonnes of the special FIM aggregate being laid down. Asked by Master of Ceremonies Peter Montgomery whether he thought the 20,000 plus seat natural amphitheatre would be filled on the big night, Bill Buckley said he was confident the New Zealand speedway fans would respond very positively to the event. We have already had an approach for seats from a group in Invercargill who are chartering a Boeing 737 to fly up for that weekend, Buckley said, adding that there had also been strong interest in the corporate boxes. As well as the concrete terrace seating, special grand stands would be built for the event and with ticket prices at just $120 for grand stand seats and $45 for general admission tickets, Buckleys confidence is understandable. The Speedway World Championship is the oldest of the Federation Internationale Motocyclisme (FIM) motorcycle world championships, kicking off in 1936 with the World Final at Londons Wembley Stadium. Up until 1995, the World Speedway Championship was decided over 20 heats of racing on one night, the World Final. To make it to the World Final, speedway riders had to qualify through their national championships, regional championships and then an Inter-Continental Final to make it to the big night. Proving that New Zealanders used to have what it takes to handle the pressure of a winner takes all World Final, Kiwi riders won no fewer than 12 world finals between 1954 and 1979. The men were Ronnie Moore, 1954 and 1959, and three times the runner-up, Barry Briggs, 1957, 1958, 1964 and 1966 and runner-up on three other occasions, and Ivan Mauger, 1968, 1969, 1970, 1972, 1977 and 1979, and runner-up on three other occasions. Briggs appeared in a record 17 consecutive World Individual Finals, 1954 to 1970, and a record 18 in all, during which he scored a record 201 points. Mauger's achievements were no less sspectacular in 1970, two United States citizens, George Wenn and Ray Bokelman, vowed that if Ivan Mauger won three world finals in a row at Wroclaw, Poland, they would have the winning bike gold plated. Mauger duly won the World Final that year, and true to their promise, the Americans took his bike back to the USA where it was duly gold plated, and so was born the Triple Crown Special. The machine currently resides at Canterbury Museum in Christchurch. Pretty much every major motorcycle factory has hinted that they're working on battery-electric models, but Austria's KTM has just become the first to get e-rubber on the road. The Freeride E, just unveiled at EICMA, is a featherweight, electric off-roader reminiscent of the Zero MX. Geared towards big fun in short bursts, it should be comparable to a 125cc 2-stroke to ride - although with a much smoother throttle response and a bigger wallop of torque available. And while it's a baby step, it heralds the next wave of electrics that will hit the market soon - backed by big factory development dollars and ready to duke it out with the little guys in a tough market segment. 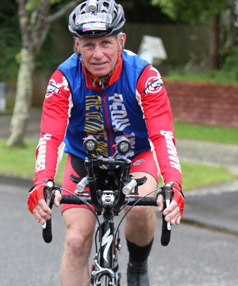 Go to www.livetiming.co.nz and click on the Vic Club Round 6: Live Video Recordings. Yet another advance in motorcyclesport technology, from Grant Collingwood of Ctas, check this out.